Stitches" (stylized as "+++++++++") is a song recorded by Canadian singer Shawn Mendes for his debut studio album, Handwritten (2015). It was initially released to iTunes via Island Records on March 16, 2015 as the third pre-order exclusive track and was subsequently serviced to radio via Republic Records on May 5, 2015 as the album's third official single. 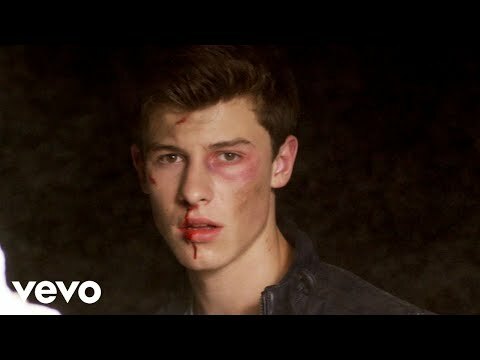 "Stitches" is the first song by Mendes to appear on a Billboard airplay chart, debuting at number 36 on the Mainstream Top 40 chart in June 2015, and eventually reaching number one. It became his first top 10 single on the Billboard Hot 100, charting at number four. "Stitches" also reached the top 10 on the Canadian Hot 100, peaking at number 10. It also topped the UK Singles Chart and German Singles Chart and reached the top 5 in Ireland, Australia and New Zealand. It was nominated for Choice Music Single: Male Artist at the 2015 Teen Choice Awards.